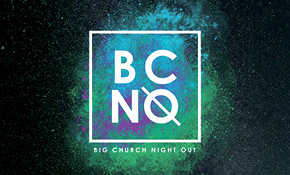 Sunday, November 11, 2018 at 6:00 p.m.
Big Church Night Out is a celebration of the beauty and diversity of the many different ways we worship while uniting behind the one thing that unites us all. It’s a night of worship, entertainment, music, prayer, laughter, art, reflection and so much more. 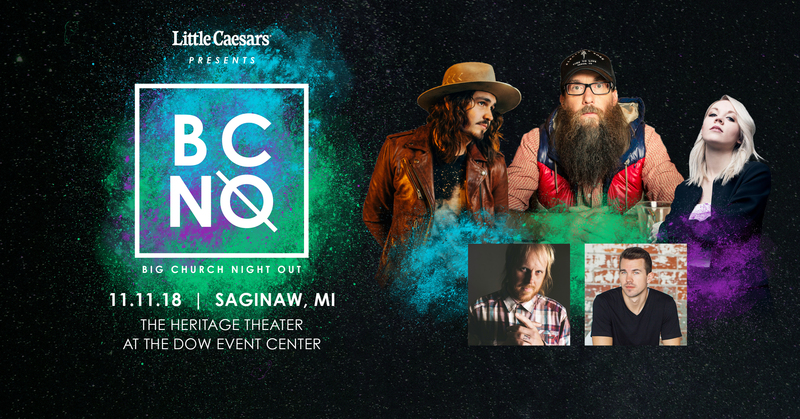 Whether coming alone, loading up the entire family or bringing a church group, this night is designed for EVERYONE. Pre-Sale: Friday, June 22, 2018 at 10:00 a.m. – Sunday, June 24, 2018 at 11:59 p.m.
On Sale: Monday, June 25, 2018 at 10:00 a.m.
Pre-sale tickets will be available online only at Ticketmaster.com with the pre-sale password. To receive the pre-sale password, please sign up for our free email distribution list at https://bit.ly/2nYHtZ8 by Thursday, June 21, 2018 at 11:59 p.m. Tickets on sale to the general public will be available at Ticketmaster.com, Ticketmaster by phone 1-800-745-3000 or in person only at The Dow Event Center Box Office.